Tension is increasing once again Between China and India after Chinese Government refused to give Visa to an Indian Army General on Friday For official Chinese Tour. China has refused to give Visa to Indian Army General B.S Jaswal because he has also performed duties for Sometime in Occupied Kashmir that is illegally occupied by Indian Army and it is also involved in thousands of Civilian Killings in Occupied Kashmir. 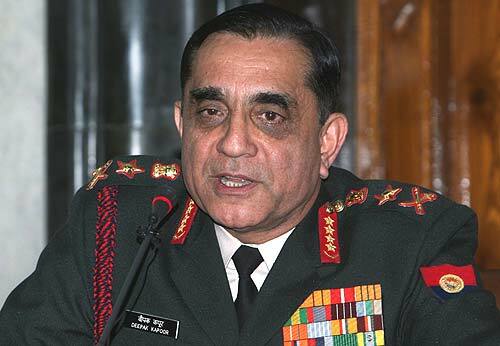 Few Months ago Canadian Government also refused to Give Visa to an Former Indian Army General who was involved in Civilian Killings in Occupied Kashmir. Canadian Government also said that we will not give Visa to any person who is involved in Serious Human Rights Violations. Indian Government has called Chinese Ambassador in India For doing protest for not allowing Indian Army General to Visit China. India and China has not good relations from decades and a War also took place between India and China in 1962 in Which India was defeated by China.